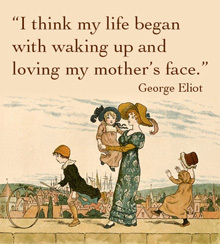 Mothers are infrequently the prominent characters in novels. They seem to be unassuming and in the background, if they are mentioned at all. Because of their scarcity I started looking for them. When there is a likable mother on a page she has my full attention, no matter how quiet a person she is. 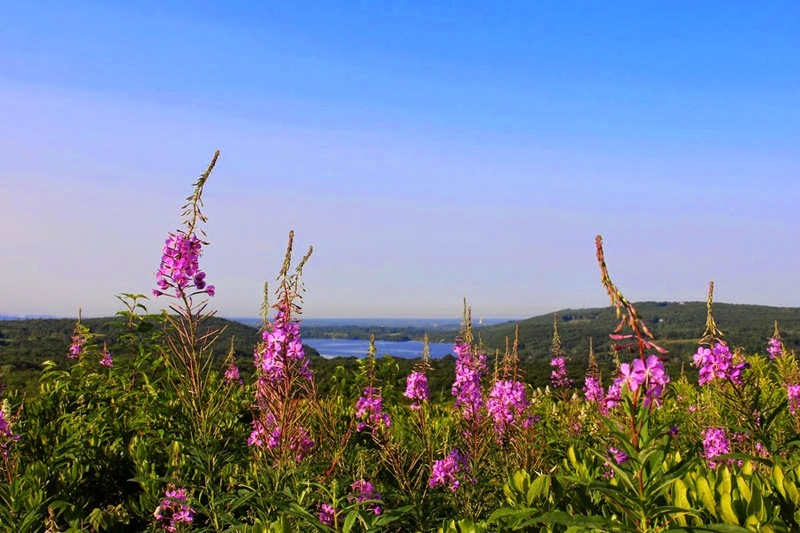 Last summer I returned to Maine – not to the physical place (although that would have been lovely) but the Maine of Sarah Orne Jewett’s The Country of the Pointed Firs - a calm story told in first-person. The setting is an 1880s fishing village. Perhaps the only conflict is the reality that lies in the shadow of everyone’s minds; that summer, so long in coming, would be so soon to leave. The plot, if it could be said to be one, meanders. Suspense isn’t what makes the pages turn. Rather, it is pure pleasure of being there. 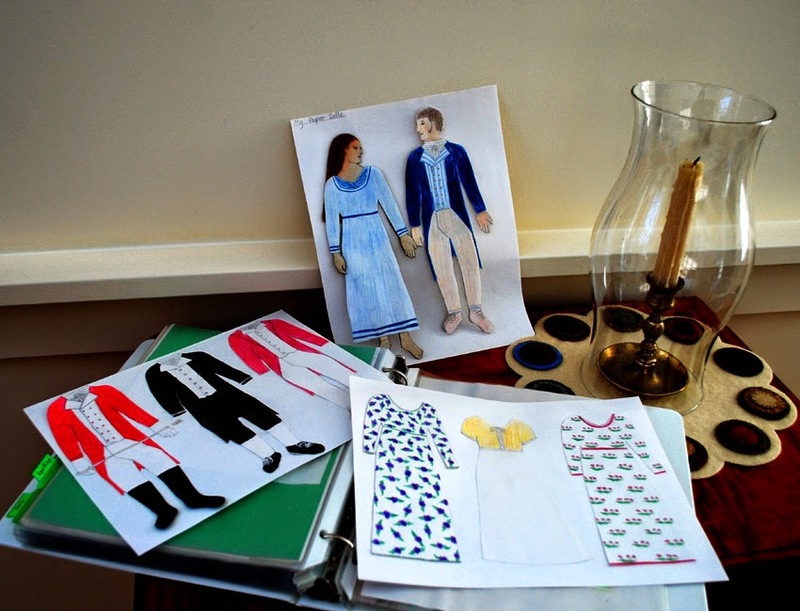 On her summer holiday, the young woman who narrates the story has deepening connections with the local characters. She finds something interesting about each person she meets. As she savors the sounds and sites around her, I savor them with her. I remember how steep a hike can be along the rocky coastline. I can recall the shy whippoorwill’s soft call in the night as I lay awake. 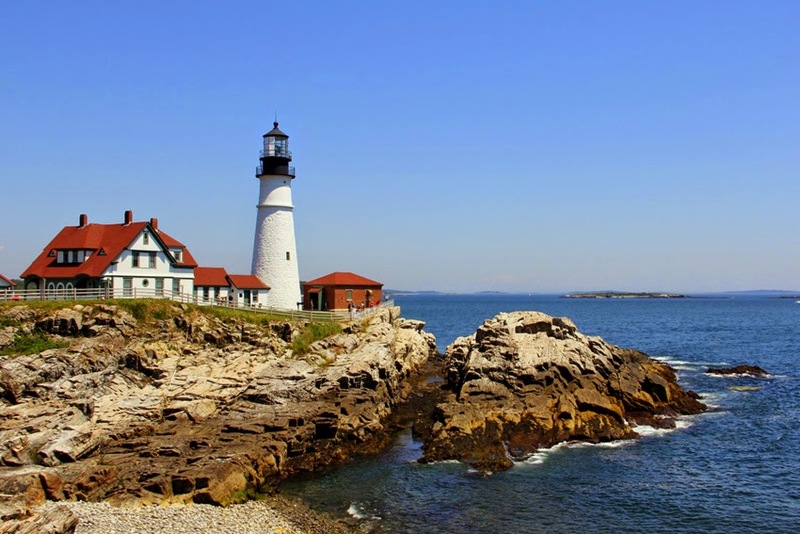 I know the scent of the salt sea air and see the bright sunlight on the wind-rippled water of the harbor. And I’ve met some idiosyncratic backwoods Mainers. And so the story sets my mind easily to wandering. 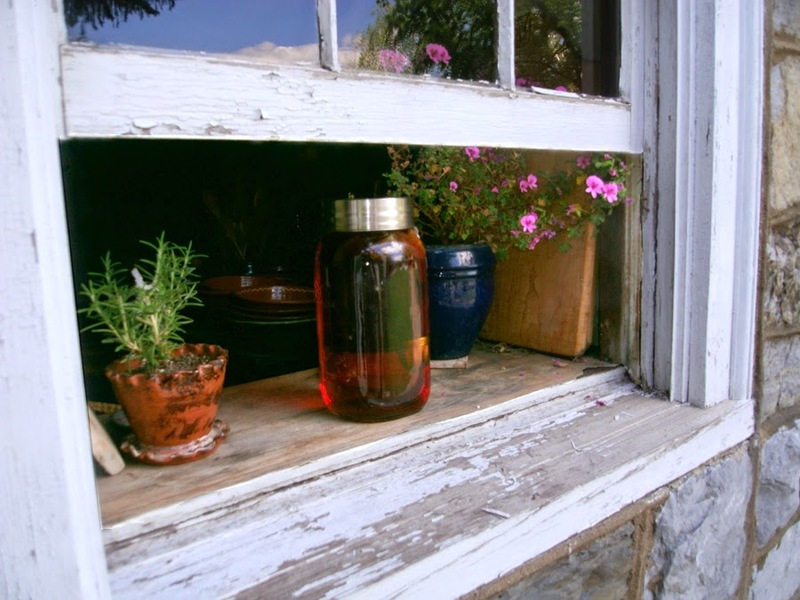 The young woman narrator rooms in the white clapboard house of Mrs. Todd, an herbalist-widow who knows all the commonplace news of the village and likes to talk about it. 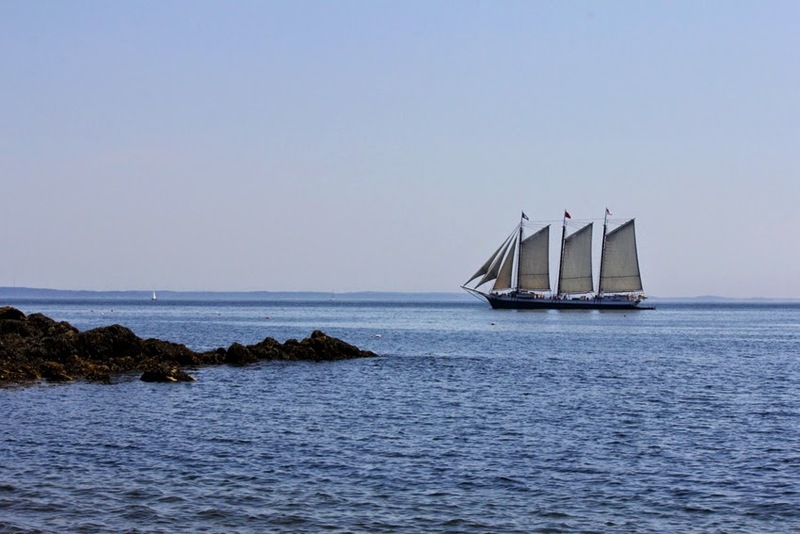 One day, when the tide is right, Mrs. Todd puts up a small sail, and with her boarder, is wind-driven to Green Island. There Mrs. Todd introduces her new friend to her mother, Mrs. Blackett, an islander in her eighties. Any gentlewoman would like her I suppose, as much as her visitor does. Her hospitality was something exquisite; she had the gift which so many women lack, of being able to make themselves and their houses belong entirely to a guest’s pleasure, - that charming surrender for the moment of themselves and whatever belongs to them, so that they make a part of one’s own life that can never be forgotten. Tact is after all a kind of mind-reading, and my hostess held the golden gift. Sympathy is of the mind as well as the heart, and Mrs. Blackett’s world and mine were one from the moment we met. Besides, she had that highest gift of heaven, a perfect self-forgetfullness. 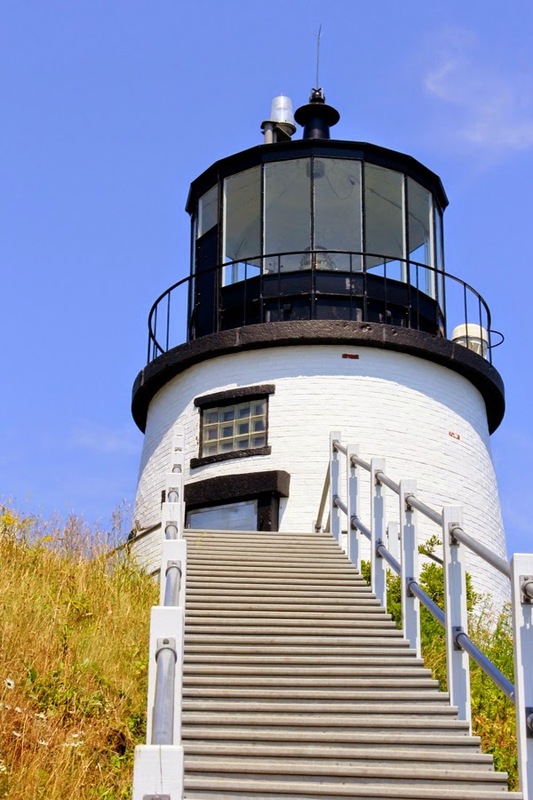 There was a worn red Bible on the lightstand, and Mrs. Blackett’s heavy silver-bowed glasses; her thimble was on the narrow window-ledge, and folded carefully on the table was a thick striped cotton shirt that she was making for her son. Those dear old fingers and their loving stitches, that heart which had made the most of everything that needed love! Here was the real home, the heart of the old house on Green Island! I sat in the rocking chair, and felt that is was a place of peace, the little brown bedroom, and the quiet outlook upon field and sea and sky. 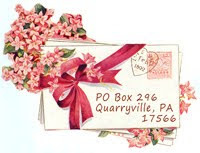 It takes a special ability with a pen to affectionately write of the simplest things in life, and get readers to appreciate them. Perhaps this is why Sarah Orne Jewett’s, The Country of the Pointed Firs hasn't gone out-of-print for more than 100 years. You probably will not see it on a local library’s recommended summer-reading-list. Perhaps it is too quiet a book. Gentle souls who find it, however, keep it on a shelf next to their classic novels to read it again in other summers. I enjoyed the first half of the story more than the last half. Nevertheless, I was glad I read to the end to get the whole picture. 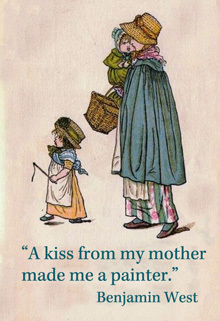 Do you look for likable mothers? I’ve come across more I could share with you in future. Because The Country of the Pointed Firs is public domain I took the liberty to quote these choice nuggets by whole paragraphs. Mother Carey’s Chickens is a book I wrote about on this blog some years earlier. It has a likable mother as the central character. A click will bring you to it. 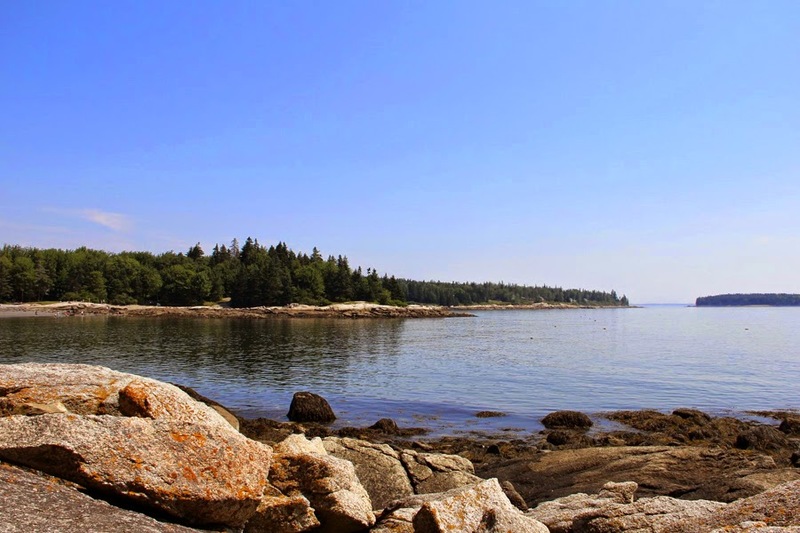 Most of the photographs of Maine were taken by my daughter. 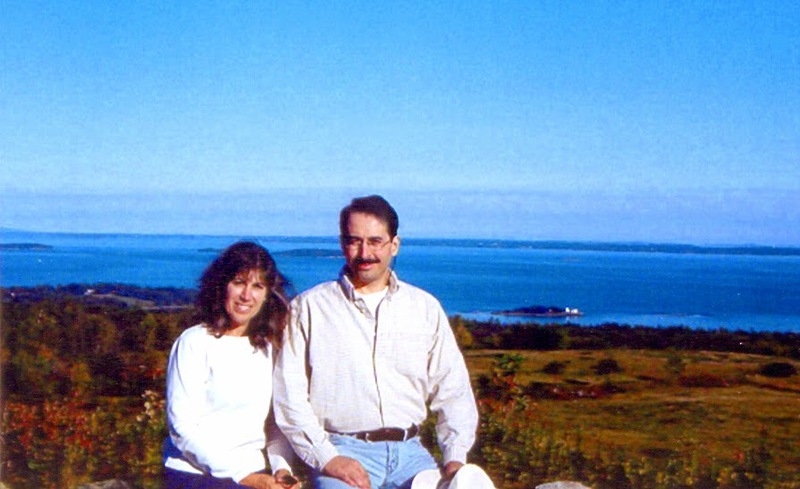 The photograph of Dean and I, taken by a good friend and Mainer, shows Rockland Harbor in the background. What a steep climb we took that day at summer's close. Has it really been ten years? Behind us are wild blueberries among the rocks. 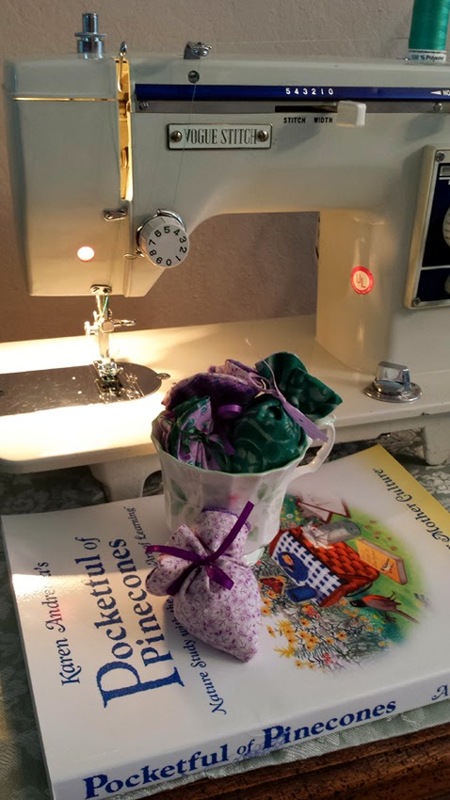 Kim Huitt of Alaska, sent me a photograph of her newly finished Lavender Strawberry Sachets. I was touched by her placement of them atop Pocketful of Pinecones. How pretty they look spilling over the teacup. I was given permission to share her photo with you. Thank you, Kim. 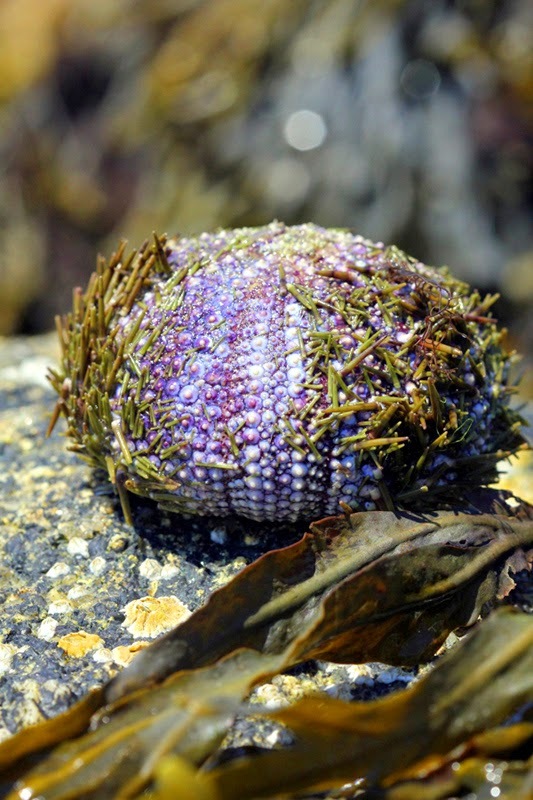 I’ve been writing and tweaking this article for weeks – one reason my posts are rather spaced. Here I present a facet of the Gentle Art of Learning (TM) that might be new to you. 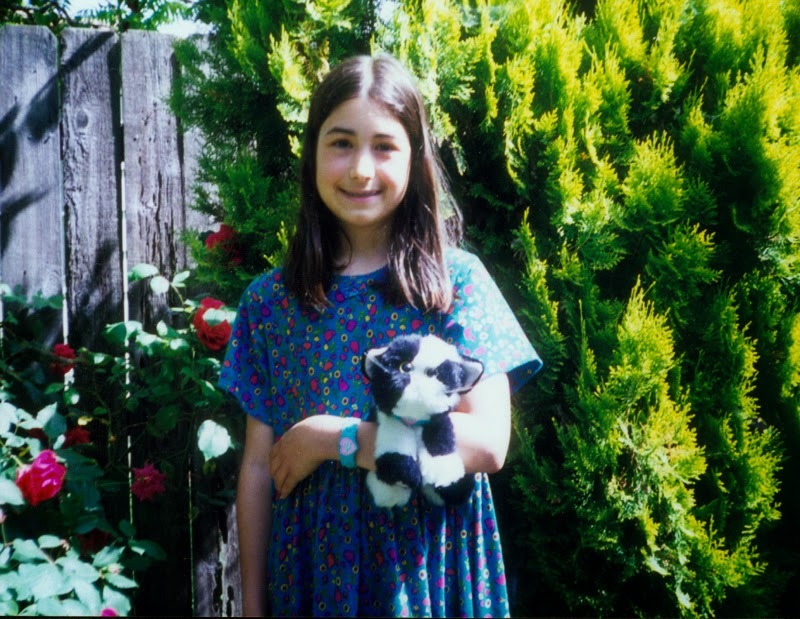 You can tell from my pictures that I’ve been perusing papers and photographs down memory lane. During my years of home teaching I was confronted with the interesting subject of Learning Styles. Now and again a conference speaker or informative magazine article would challenge me to figure out which style engendered the most learning in my student. The teacher might have several students who each learn best by means of a different style, was the suggestion. I understood what each style involved but was still left scratching my head about what to do about it. I was advised to observe my students closely. According to the styles a “visual learner” is very attracted to pictures and animation. An “auditory learner” is attentive to sounds and can listen to a recording for hours. The “kinesthetic learner” is enthused about making things in 3-D and moving around. The speaker or writer communicated that a student could be hindered if his style is ignored. 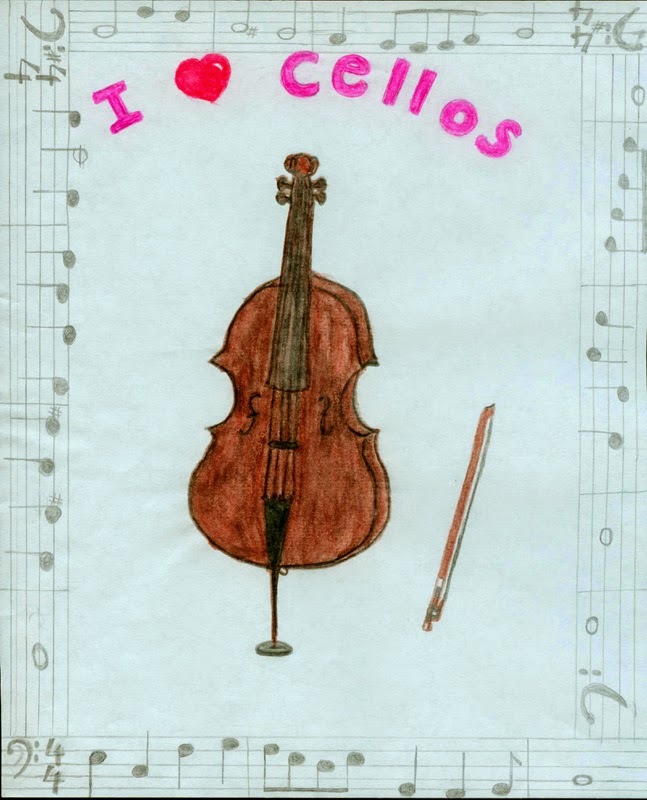 The recommendation was to adjust lessons so that a subject provides opportunities in a student’s particular leanings. This made sense. But I honestly never figured out which category each of my children fell into. They all liked pictures and were riveted to anything I showed them on video. 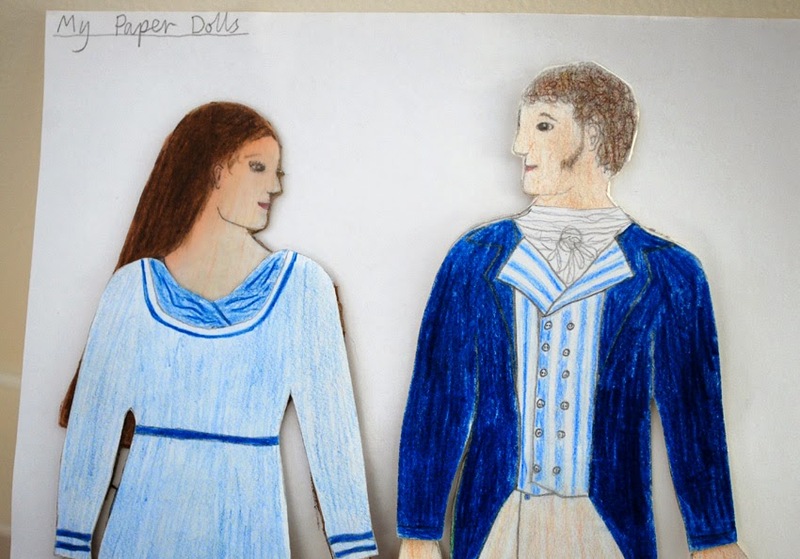 After seeing P&P in 7th grade, Yolanda created paper dolls of E and Mr D.
Making things - and messes - was always a pleasure. And by my direction, my young son was jumping on our small trampoline between lessons to appease his boyish restlessness. I wondered. How does a teacher go about measuring the knowledge the student is gaining through one particular learning style compared to another? Hmmm. A bibliography of references was absent from the articles. This barred me from following up the matter. Perhaps I was taking Styles too seriously. Then, one day I was uplifted. I reminded myself that Charlotte Mason had us covered. What a relief! There was no reason to stress over Styles. 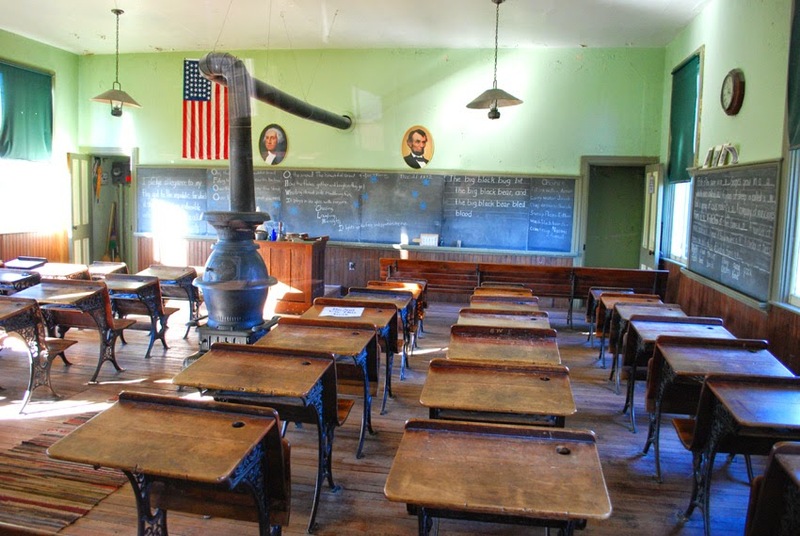 By following Miss Mason’s method of education I was automatically giving each student opportunities to learn (at their various speeds) and learn well, through a variety of avenues. I could rest easy. Before long, the challenge to fine-tune my methods faded from memory. With The Gentle Art of Learning, the Styles take care of themselves. And according to Miss Mason’s wisdom and experience, they are appropriately proportioned for gaining knowledge. Great. She starts with this presupposition. When we regard children as being intelligent – not inferior to an adult’s intelligence, just lacking experience – we resist spoon-feeding in all its forms. Rather we step back a little. We allow the children to develop a quickness of apprehension that comes from the literary language of their living books. This is at the heart of The Gentle Art of Learning. There is another misapprehension. Teachers believe it is their duty to make children attentive. What of Styles? How does Charlotte Mason have us covered? Here is an outline. As the child gains impressions, he provides the expression. By written or oral narration, by artwork and even through play, sooner or later by essay, and perhaps drama, he learns by eye, ear, hands, reason and imagination - without being spoon-fed by watered-down material, many explanations, much questioning, over-moralizing, or depending on the workbook to work the mind. The thinking is left to him. Thus his mind grows. With Picture Study a child is a “visual learner.” Picture Study invites him in to take in every detail of a painting or other works of art. Nature Study is observation. We may use our binoculars, yes, but we also notice the sounds of the natural world, breath in its smells and touch its textures. 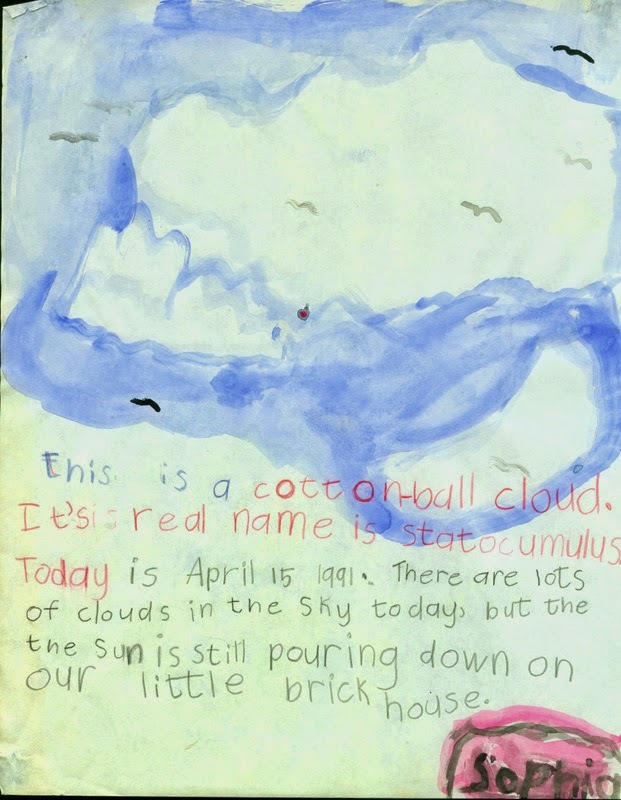 A child records his “finds” accurately with sketches. And he learns to see beauty. The child is an “auditory learner.” Music Appreciation brings him into a familiarity with melody, phrasing, harmony, dynamics, rhythm, and emotion. Poetry may be memorized and recited, but it also creates pictures in the mind’s eye. It evokes sentiment. A parent’s reading aloud sets in motion the mental muscles of the listener because listening is active not passive. A child will listen closely to the promise of what happens next. And in knowing it is his turn to give a narration he catches detail. He hears his own voice, too. In his narration he assembles select words in sequence, yes, but also, from what impresses him most, he gives personal emphasis. The child learns to sing folk songs, hymns, etc. He lifts his voice in worship. At some point he embarks upon a foreign language, which is a less bookish subject these days. With the Gentle Art of Learning the child becomes a reader. By reading, his true education begins, says Charlotte Mason, because this is a kind of self-education. *4 With his living books he is seeing, hearing, and feeling in his developing imagination. His curiosity is well fed. Knowledge is nourishing. 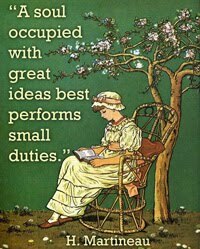 His mind is feeding upon ideas, which invite him to reason, discern, and form opinions. We educate not by means of visual, auditory, and tactile influences alone. The child is a person. Educating is not applied like we apply sun tan lotion to the skin. It goes deeper. Education takes place within. The Holy Spirit enlightens our soul. Education is a spiritual matter, and Miss Mason tells us it is chiefly through the humanities that we are enlightened. History is read carefully but the student needn’t be conscious that he “must” attend carefully by lure or fear of the next test scores. With a living history he is swept into the time period, the adventure, conflict, struggle and problem solving of its people. A living science provides interesting facts that explain the world the child lives in, while it takes him on tour of determined men and women and how they came upon their discoveries and inventions. 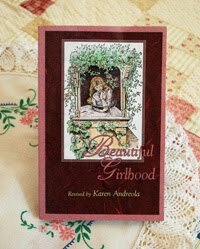 Virtue is also exemplified through biography and a wide array of children’s literature. 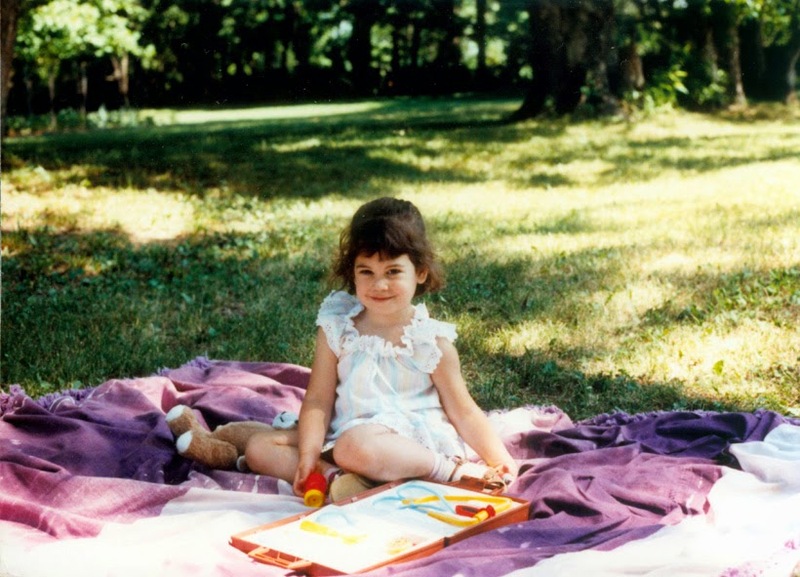 Sometimes fiction is just for fun, a celebration of life and the joy of childhood. But good books can also help the student with the sober aspect of building character, and heeding the call to a responsible life. Education's aim is maturity. The child is a “hands-on learner.” His first math lessons are founded upon measurable and movable objects, which eventually pave the way to manipulating numbers mentally. 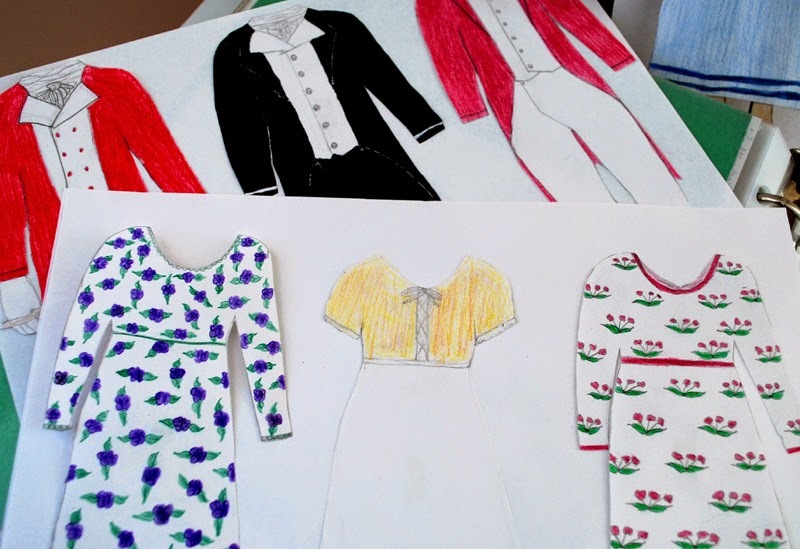 One of the simplest of hands-on activities, not to be overlooked, is drawing. It is an excellent way, and a legitimate way, for a child to narrate what he is learning. 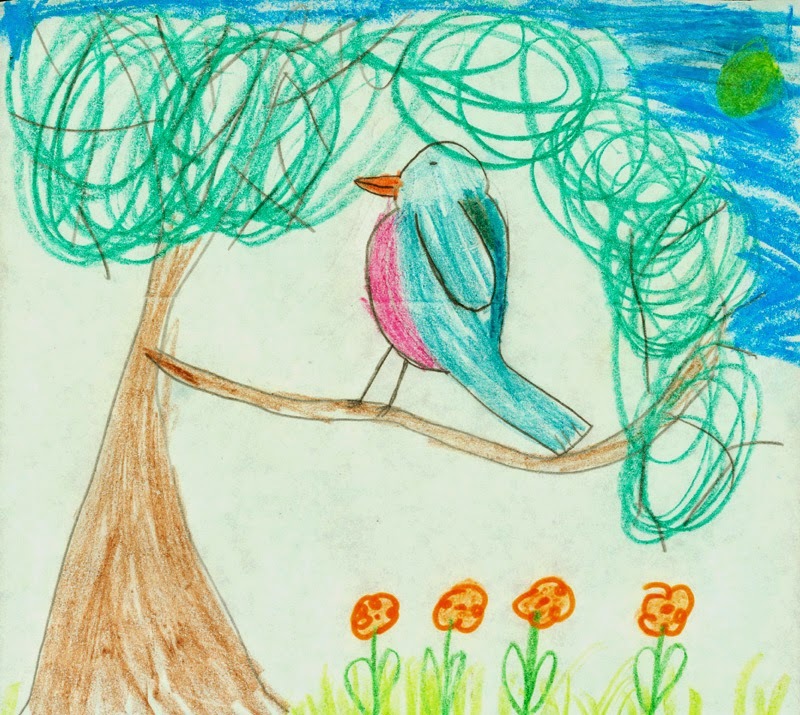 A student who is developmentally delayed, who has difficulty talking, can draw his narration. Handicrafts, in wool, wood or leather, train hands to a skill, to be resourceful and of service. As an alternative to screen time, a child may learn (still, in this 21st century) to swim, ride a bicycle, dance, skate, catch a ball, build a safe campfire, mix and flip pancakes, wash dishes, and yes, maybe even baby-sit and change the diaper of an energetic and elusive toddler who has recently added the word “no” to his vocabulary. Did this last line make you smile? I wasn’t planning to end the article this way. Let’s just call it one practical outcome of Miss Mason’s high thinking and lowly living. We home teachers can be a serious bunch, can’t we? No need to stress over Learning Styles. Charlotte Mason has you covered. 4. 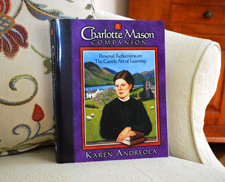 A Charlotte Mason Companion chap. 5 explains self-education. 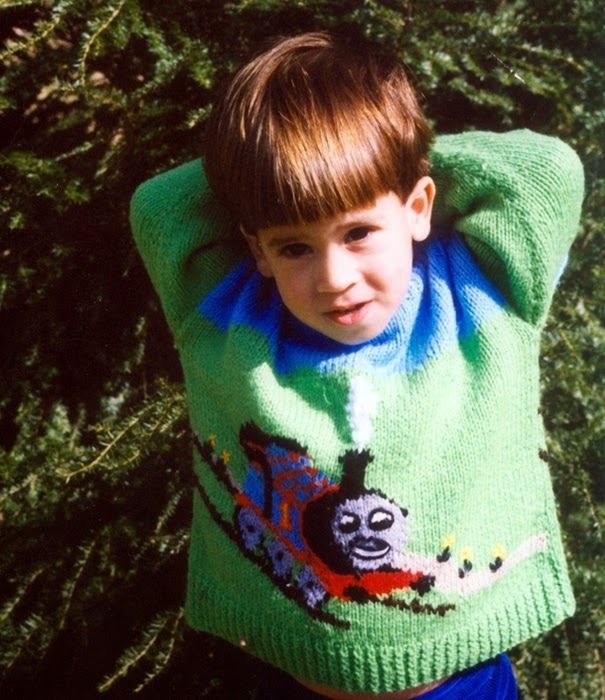 The sweater (or “jumper” as it is called in England) that little Nigel is wearing has Thomas Tank Engine on the front and was knit by my British friend’s mother. 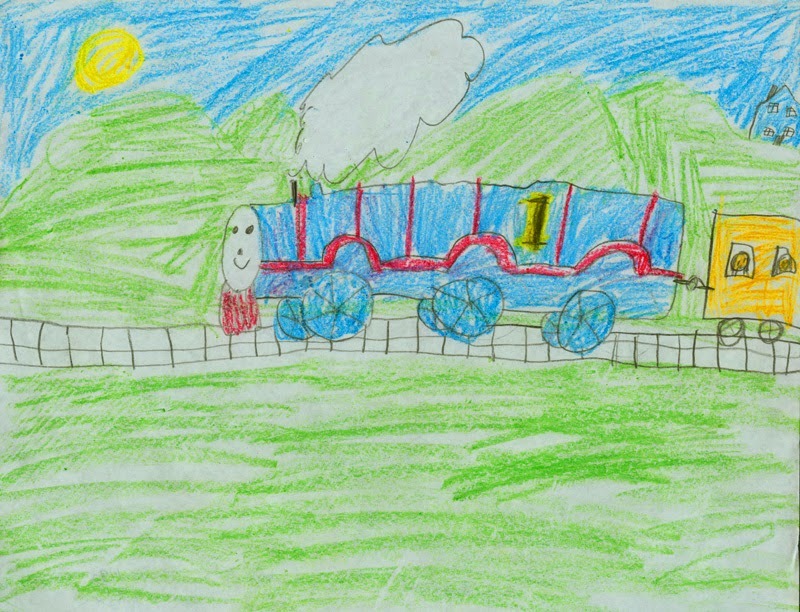 At age 3 and 4 Nigel was in his “train stage.” I believe Yolanda drew the picture of Thomas for him. You can tell I sought to be frugal and be my son’s barber. Oh, my. 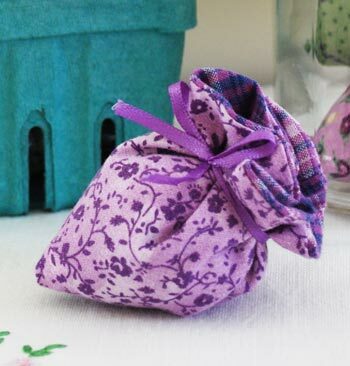 With orders for the Lavender Strawberry kit I am busy washing, ironing, and cutting pretty purple fabric. Thank you, so much. Where would we be without free enterprise and encouraging friends? 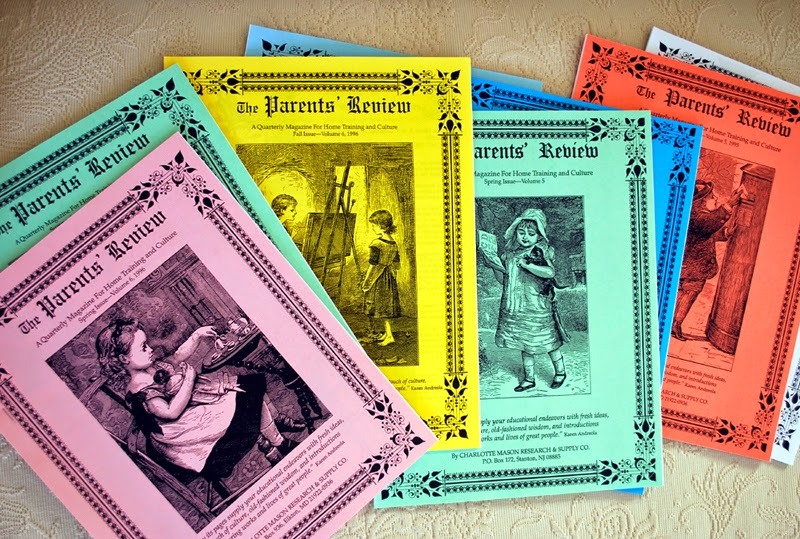 The orders for Parents’ Review prove I have readers questing for knowledge this summer. 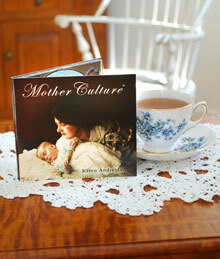 And I hope those who have received the Mother Culture CD are also being nourished by its message. My Macintosh laptop (2004) on which I wrote Lessons of Blackberry Inn, has met its end. I now must check my old email “karenscrayons” the long way. Please use karenjandreola@gmail.com. The “j” is for Joan. Thank-you, Ladies.